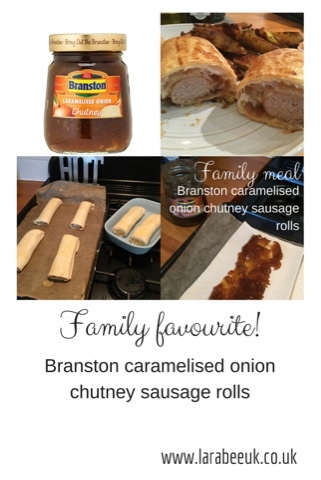 So with the success of our Branston Burgers recipe I thought I'd try another Branston based recipe on the family at the weekend. Here, I've added. Nice layer of the onion chutney to the sausage rolls before cooking. It was delicious! 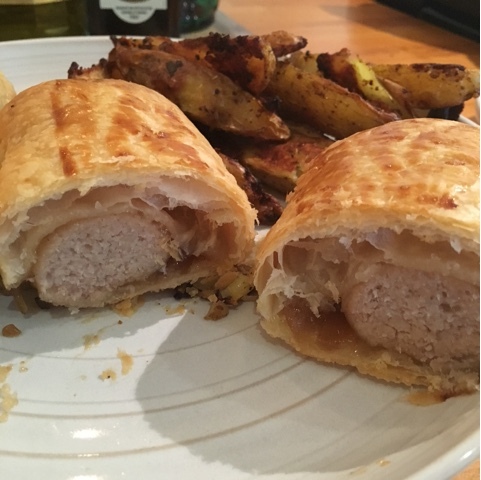 Really added a nice twist to sausage rolls even though maybe I should have cut them into 3 not half 😉 or just serve with some salad. 1. Cut the pastry sheet into 3 with the long edge horizontal. 2. 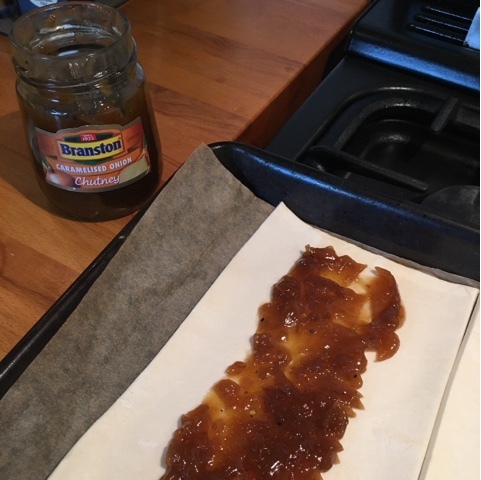 Spread a layer of chutney along your pastry, I used 1 tbsp but experiment, you may prefer more or less! 3. 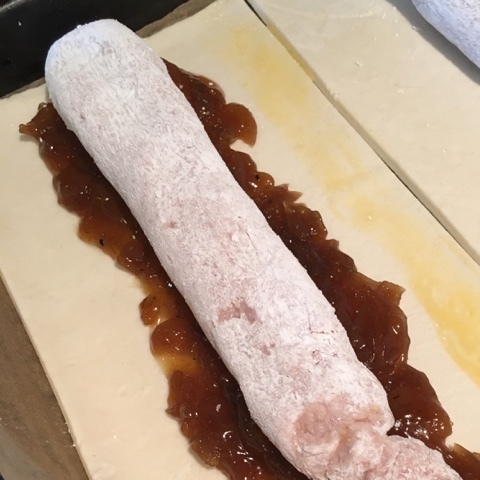 Roll the pastry into sausage shapes and place on top of the chutney. 4. Use the egg wash to paint along the length of the pastry and roll to form a seal. Cut each into 3, or 2 'mahoosive' ones like I did! Make sure that the seal is underneath when on the baking tray. 5. Paint with egg wash.
6. Bake for 20-25 minutes and serve! 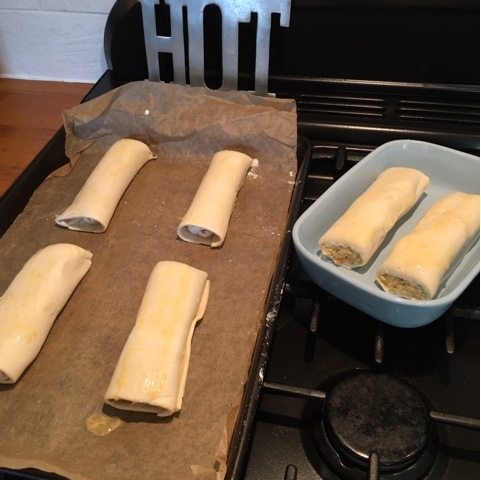 You can also cut the lengths into smaller sausage rolls for parties! I hope you've enjoyed these, if you make them do let me know! 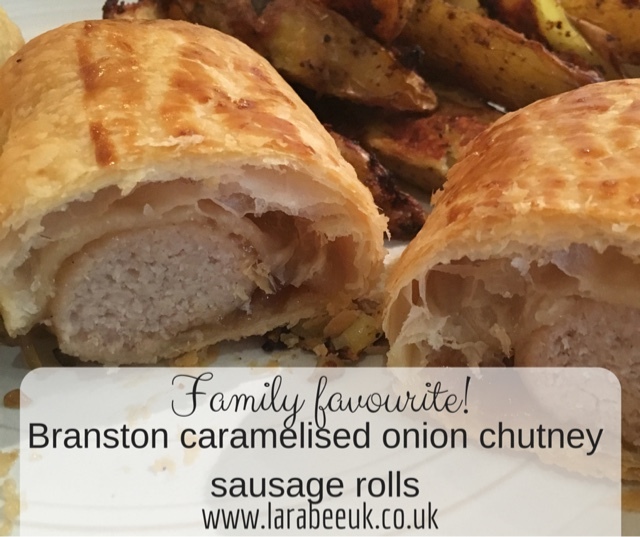 Have a look at the Branston website for lots more Branston recipes.